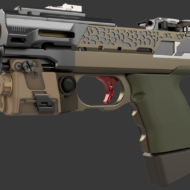 I've been working on my entry for a few days now, so thought it time to start a WIP post. 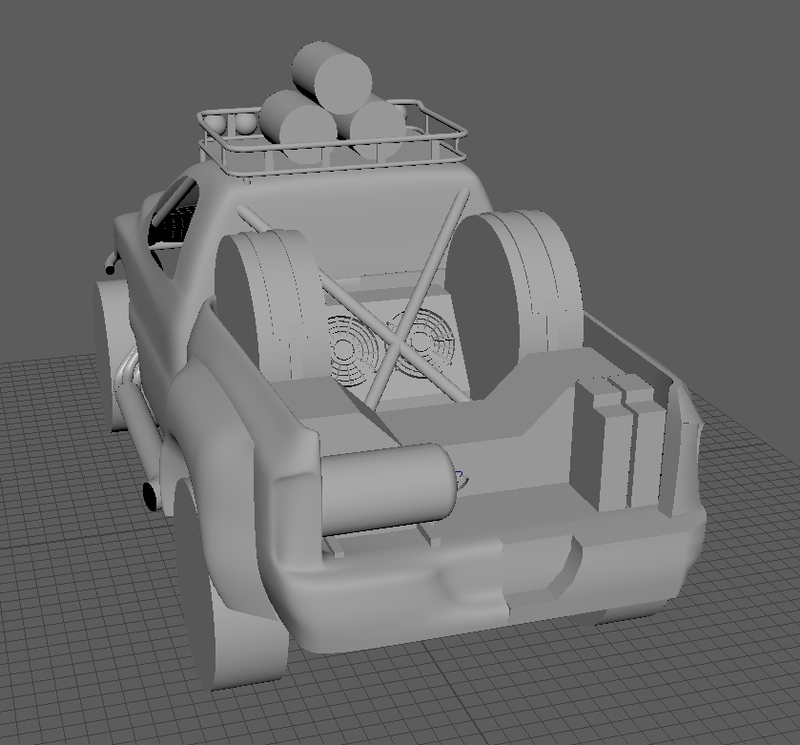 So far I have been working on reference gathering and the block out/detailing. 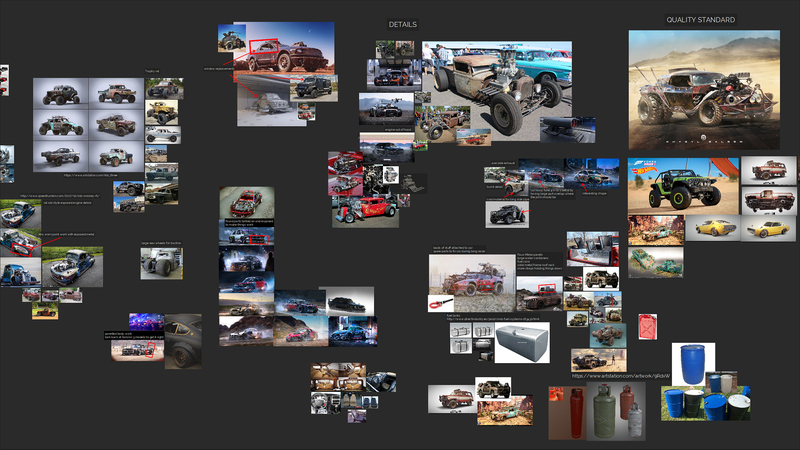 I had a few ideas about what I was going to create, but I have settled on a cross over between a trophy truck (from Baja 1000 etc) and a pick up truck (for the body) with influences for styling from Rat Rods. 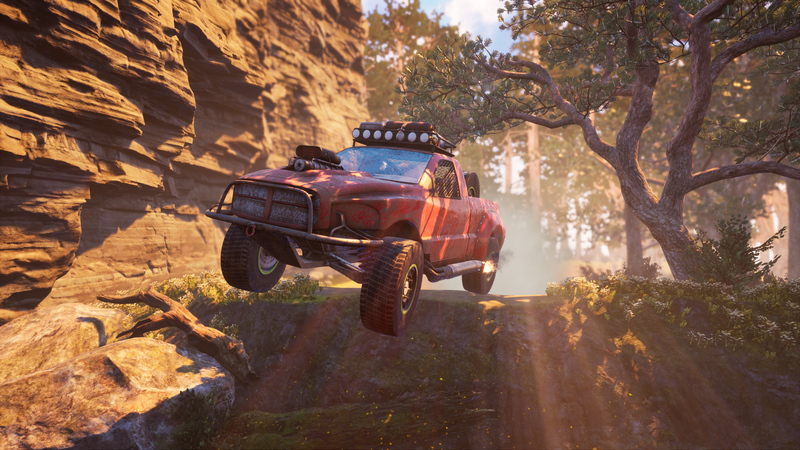 I still havn't set on the final setting for the environment. 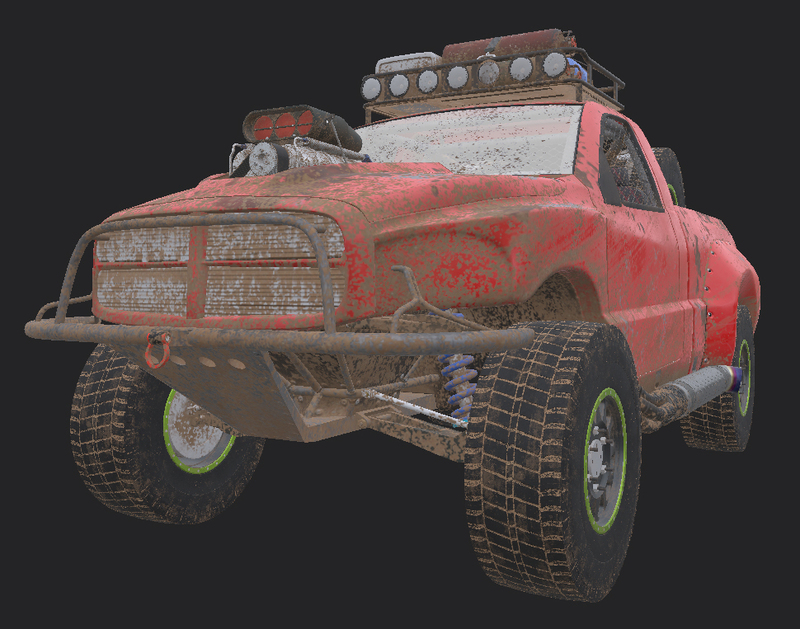 It's either in the desert (to match the Baja 1000 theme), or urban city (which I would feel more comfortable creating). 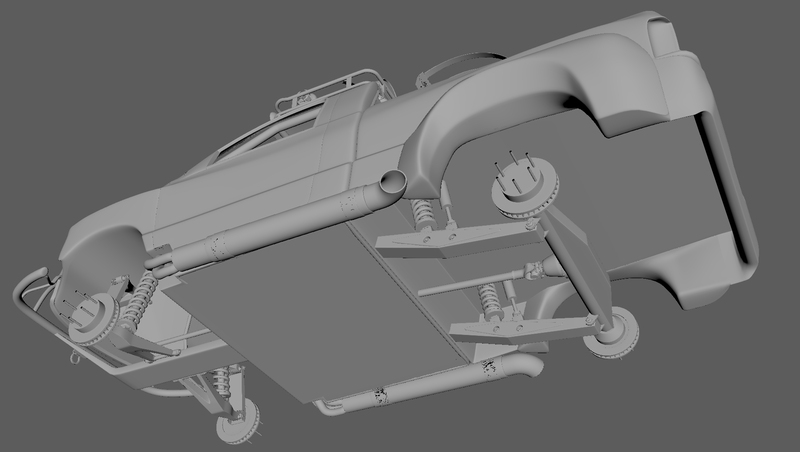 Here's a quick screenshot of progress on the car. 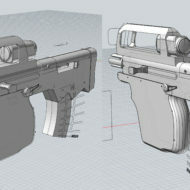 Here is my final high poly now complete. 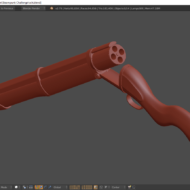 Just focused on getting this done, so will try to post a few more updates when then low poly is done and the fun starts with texturing! So the deadline is nearly here and I may make a few more tweaks before final submission, but I am away this weekend before the deadline, so I've been rushing to get this done. Just to show the progress steps I have made here are a few screenshots of what I've been up to since the last post. 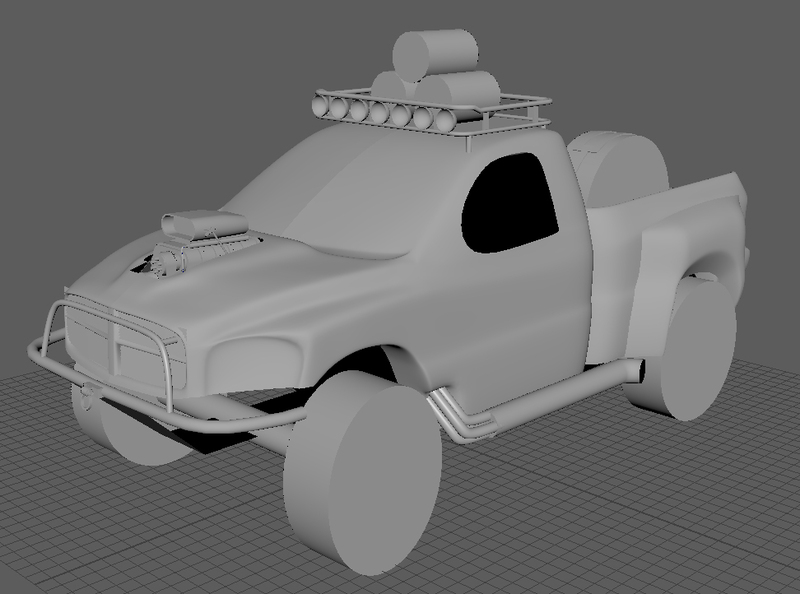 The low poly, UV and texture work is now done. And everything is imported into UE4 and I've set up the scene. 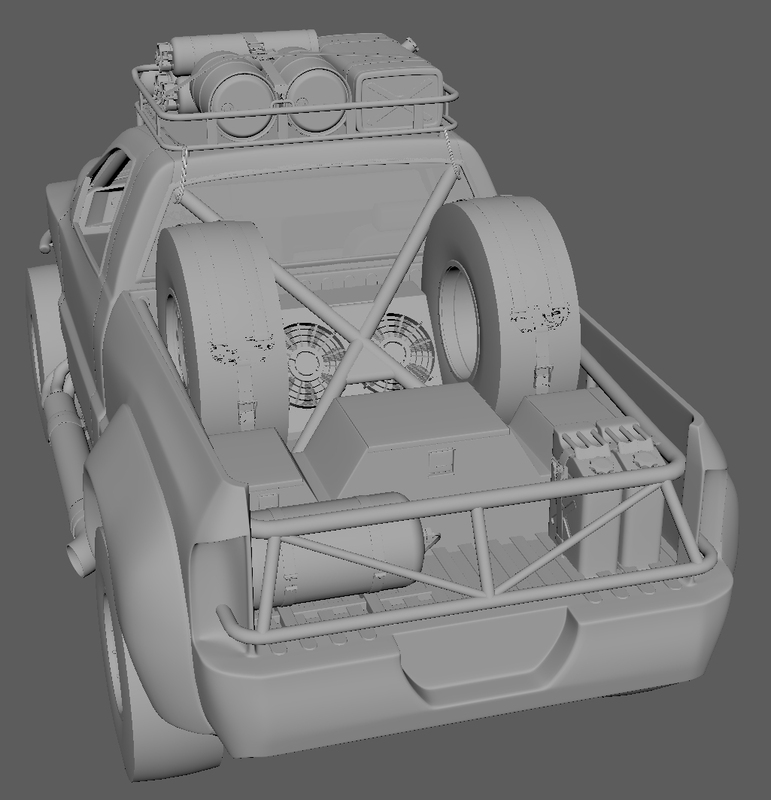 I previously mentioned that I would like to create an urban environment for the scene, but as I've been pushed for time to finish the vehicle alone, I have moved the setting to a forest as this was much easier to put together. 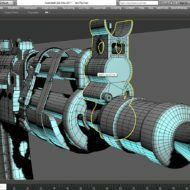 I have used assets from a few content packs I already have as there was no way I would have time to model, texture, etc these assets. A point I would raise for the organisers of the the challenge is that the requirement to include an environment should be optional to allow entrants to focus of the vehicle which sees a little more fitting to the content of the website. Something I feel that I've not mentioned here is the process I took to get to where I am, so here's a quick post on that. 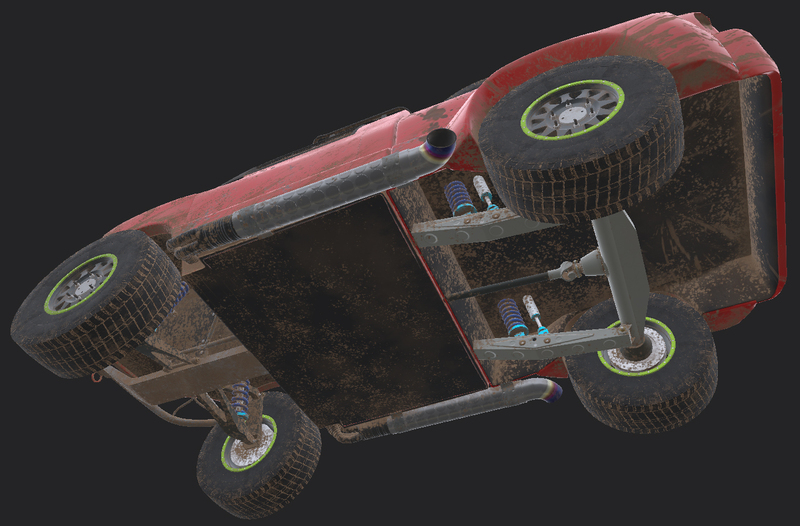 I started out with a few ideas for the type of vehicle I wanted to create. 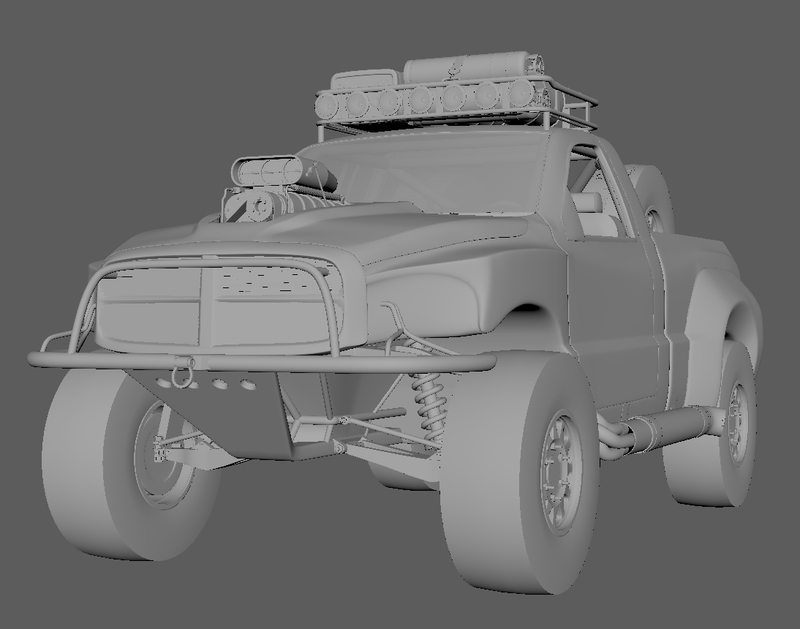 After gathering some reference images (I use a program called PureRef which is awesome for reference gathering) for the different style of possible vehicle, I quickly decided that I didn't want to go down the Mad Max or Death Race style of bolting weapons to a car as this is slightly over done when we see the 'Post-Apocalyptic' style. 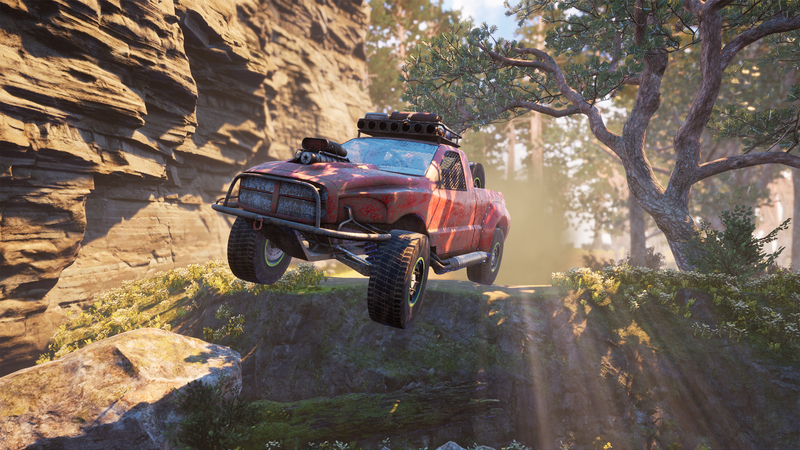 I chose to do something which was a little closer to my interests in motor racing which is how I came to the Pick up / Trophy truck cross over. It also closer followed to the narrative I was creating for the challenge. 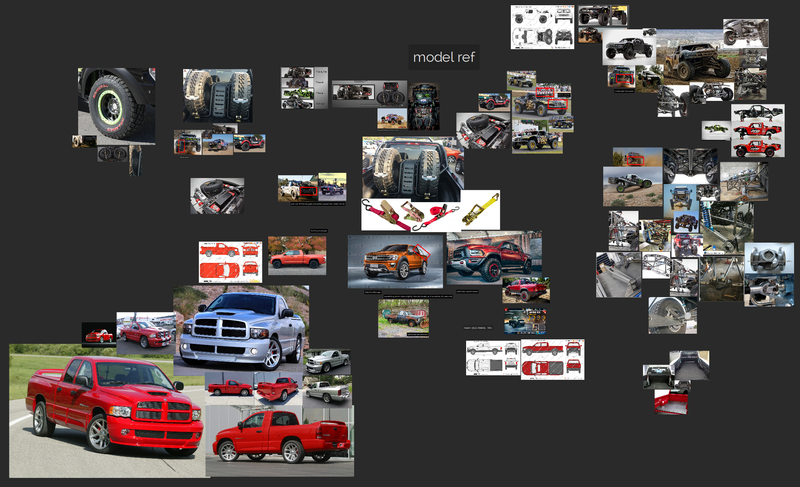 I then started gathering references for a few different Pick up trucks for the body and more detailed images of Trophy trucks for the wheels, suspension, etc. 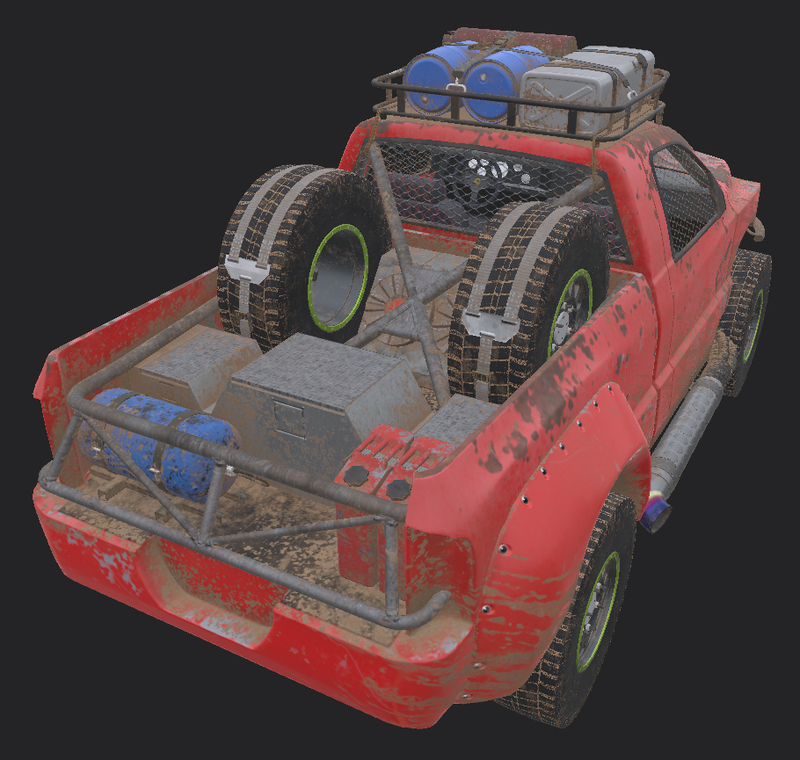 Reference was also found for other visual elements such as items that are attached to the truck, and elements which would fit the narrative of found items to 'upgrade' vehicles. 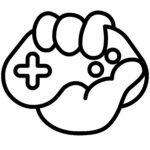 I also got images of work from other inspiring artists and video games that touch on the themes I used, and as well as a standard for the level of quality I was aiming for. 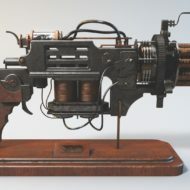 And here is my final render for entry to the challenge! Great work for everybody else. 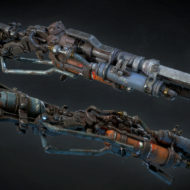 I now have some time to look through the forum posts and look in more detail what people have been up to.